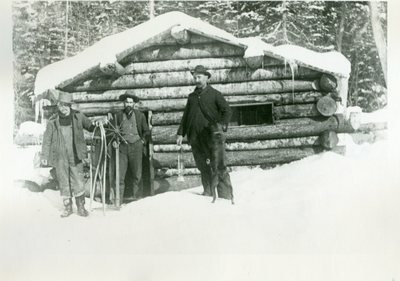 "Great Northern Lumber Camp "
An image scanned from a black and white photograph with the caption, "Great Northern lumbercamp. Somewhere above Bingham, Me. 1925 - winter."